From comprehensive auto maintenance to major car repair, we do it all and we do it well at Wiygul Automotive Clinic. Whether you are concerned about your brakes or engine, or need expert advice on tires, our ASE-certified technicians are trained to help you get the best value for your auto service dollar. Burke, VA motorists know they can "leave their vehicles with us, and leave their auto repair worries behind." 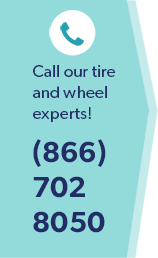 Why Choose Wiygul Automotive Clinic for Auto Repair and Auto Service in Burke, VA? Wide Inventory of Goodyear, Kelly, Dunlop and others for autos, SUVs, trucks and specialty vehicles. Don't forget to bring your coupon for special savings on auto repair and auto service at Wiygul Automotive Clinic! We are your premier-quality, full-service, independent auto-repair facility in the Burke-Fairfax Station corridor serving motorists in the busy Northern Virginia region.